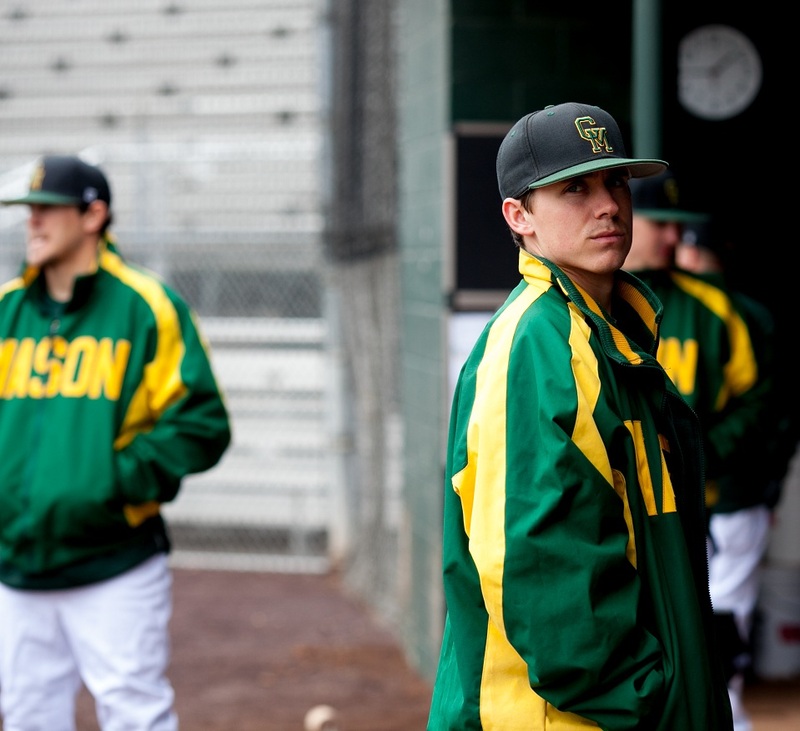 Freshman Brandon Gum had one of the most nerve-racking moments of his baseball career when he first stepped onto the field as a member of Mason’s baseball team. Gum, a heralded shortstop in his first colle- giate baseball game, earned a spot in coach Bill Brown’s opening day starting lineup against The Citadel. “Being named a starter right away was a dream come true but also made me very nervous. Before the first game I was extremely nervous, but I felt like I was ready, as our coaches did a great job of preparing me. Once I was in the flow of the game, I was fine,” Gum said. Gum went 2 for 11 from the plate, drawing one walk, scoring a run and striking out a team-high eight times. “I felt a little pressure to contribute right away. But that is because I want to be able to perform and play well personally, but I always want to do what I can to help the team win. I do not want to try and do too much because that just adds unneeded pressure,” Gum said. As with most freshmen collegiate hitters, there is an adjustment period to college pitching from high school pitching, and Gum is well aware of the transition he will need to make. “The main adjustments that I need to make have to do with my timing. In high school, there were kids that threw hard, but in college, every pitcher throws hard so, timing is very important. The off-speed pitches are also a lot better and are used much more often earlier in the counts,” Gum said. Gum was heavily recruited by a number of schools besides Mason, including Radford University, Wofford University and The College of William and Mary. In the end, the sway of playing so close to home and Mason’s academic prestige won out. “Two of the biggest reasons I chose Mason were because of the scholarship I was offered and the academic reputation that Mason has. Another important consideration was the proximity to my family, which would allow my family to see almost all of my home games,” Gum said. So far, Gum has no regrets about his decision. “I like the campus, so far. All of my professors have been great and are very helpful. My teammates have made it very easy to get acclimated to life at Mason,” Gum said. Gum is hoping that this season, Mason’s baseball team can take the CAA by surprise. “The CAA has us picked to finish fifth, but not many people know our team very well. There are a lot of changes that we made from last year. I expect us to be in the CAA tournament at the end of the year,” Gum said. Gum himself will not be able to surprise opponents because he earned the fifth spot out of five on the list of Top Newcomers for the CAA in Baseball America’s 2013 CAA season preview. “Gum has a projectable body and solid athleticism. He’s the kind of player who has other ways to help a team win games, playing defense, running well, moving runners, while he learns to hit,” said Baseball America Editor- in-Chief John Manuel. “The recognition was an honor. I don’t really see it as any more pressure to perform. How I play put me on that list. I always strive to do my best, so, there is no need to change that and try to do more,” Gum said. Gum has the dream of playing in the majors one day but does not want to worry himself about what lies ahead in his baseball career, and as the old sports platitude goes, take it all one game at a time. “My ultimate dream is to play major league baseball. It’s been that way ever since I was a little kid. However, my focus right now is to have a great college career and earn my degree. I don’t want to put a lot of pressure on myself to get drafted because all of that will work itself out,” Gum said.